We’ll do our best to answer your questions in a timely fashion. If you wish to email us, scroll down the page and fill out the contact form on the SIDE BAR menu on the right. 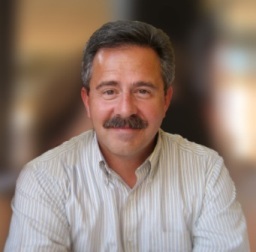 Patrick Madrid is a best-selling author of a dozen books, including Search and Rescue, Does the Bible Really Say That? and the acclaimed Surprised By Truth series. He is the publisher of Envoy magazine and director of the Envoy Institute at Belmont Abbey College. His total book sales, including foreign-language editions, have exceeded 775,000 copies. Over the past 24 years, he has published numerous popular articles on Scripture, Church history, patristics, apologetics, and evangelization in various Catholic and Protestant periodicals, and he has contributed scholarly articles on apologetics in the New Catholic Encyclopedia. Active in apologetics since 1987, Patrick worked at Catholic Answers for eight years (from January 1988 to January 1996), where he served as vice president and helped launch that apostolate’s flagship magazine, This Rock, in January of 1990. During his time at Catholic Answers, he co-authored the bookletPillar of Fire, Pillar of Truth, millions of copies of which have been printed (in English, Spanish, Tagalog, and other languages) and distributed around the world. Patrick is a life-long Catholic, not a convert. By God’s grace, he was raised in the Catholic Faith and has been a practicing Catholic his entire life. Growing up in Southern California, he attended grammar school at the Mission San Juan Capistrano parish school, where for several years he served as an altar boy for the parish’s dailyTraditional Latin Mass in the famed Serra Chapel. Ever since his boyhood, Patrick has loved the Traditional Latin Mass. Patrick earned a bachelor of science degree in business from the University of Phoenix, as well as a B.Phil. in philosophy and an M.A. in theology from the Pontifical College Josephinum in Columbus, Ohio. (The theme of his master’s thesis was: “Yves Congar’s Concept of the Material Sufficiency of Scripture and the Role of Tradition as an Ecumenical Solution to the Problem of Sola Scriptura.”) He is currently enrolled in the licentiate of sacred theology (S.T.L.) program at the University of Dayton’s International Marian Research Institute(affiliated with the Pontifical Theology Faculty Marianum in Rome), where he plans to subsequently obtain a doctorate in sacred theology (S.T.D.). He is an adjunct professor of theology at Franciscan University of Steubenville and a research fellow of the St. Paul Center for Biblical Studies. A member of the board of trustees of the Dominican School of Philosophy and Theology in Berkeley, California, Patrick is an emeritus member of the board of directors of St. Gabriel Catholic Radio, in Columbus, Ohio, and on the board of advisors for Catholics United for the Faith, The Coming Home Network, Immaculate Heart Radio Network, Catholic Scripture Study International, and Real Men Pray the Rosary. 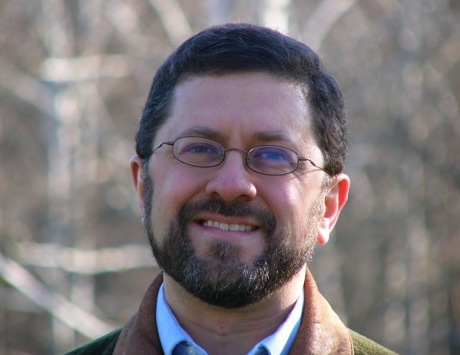 He authored all the original website content for CatholicsComeHome.org, where he also serves as a theological advisor. He was a founding board member of the Catholic Marketing Network. Patrick has conducted over a thousand teaching seminars on Catholic themes, in English and Spanish, at conferences, parishes, and universities across North America, as well as throughout Europe, and in Latin America, Asia, Australia, and New Zealand. 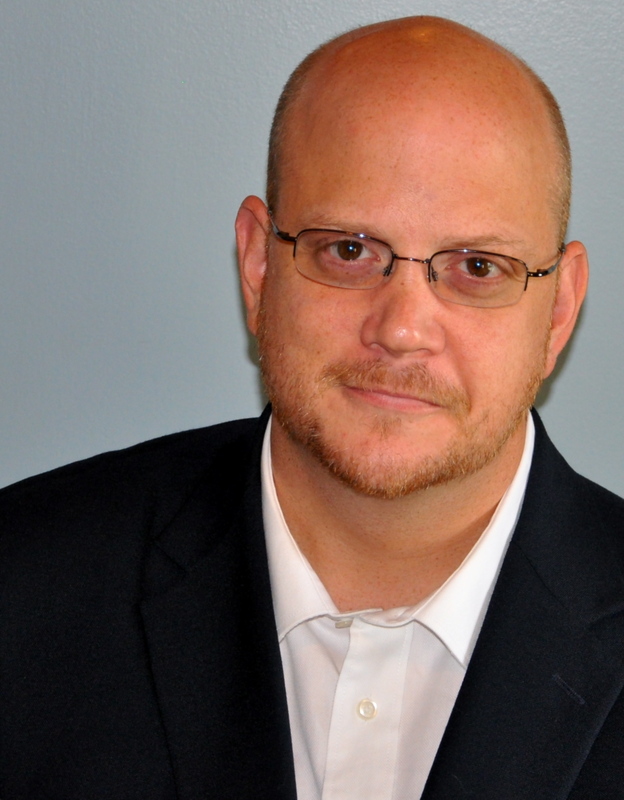 He is a regular presenter at Franciscan University of Steubenville’s annual “Defending the Faith” and The Coming Home Network’s “Deep in History” summer conferences and has been the featured speaker at over two dozen Legatus events across the country. He is also a veteran of a dozen formal, public debates with Protestant ministers, Mormon leaders, and other non-Catholic spokesmen. Patrick and his wife Nancy have been married for 30 years and have been blessed with 11 children and 11 grandchildren. Their most important goal as a couple is to hear the Lord Jesus say to them and their children one day, “Well done, good and faithful servants; you have been faithful over a little . 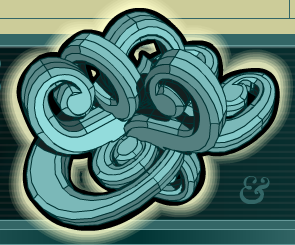 . . now enter into the joy of your Master” (Matt. 25:21). Mike is author or editor of more than thirty books on Catholic history, doctrine, and devotion. He is executive vice-president of the St. Paul Center for Biblical Theology based in Steubenville, Ohio. Mike is co-host, with Scott Hahn, of eight series that air on EWTN. For many years he also appeared as a regular panelist on “The Weekly Roman Observer,” broadcast by Catholic Familyland Network. He is a frequent guest on Catholic radio. Mike’s career in publishing spans almost three decades, and hundreds of his articles have appeared in periodicals and journals in the United States and abroad. In 2011 Mike was a featured presenter of the U.S. Bishops’ Diocesan Educational/Catechetical Leadership Institute, an online formation program co-sponsored with the National Catholic Education Association and the National Conference for Catechetical Leadership. He also wrote the USCCB’s theological reflection for Catechetical Sunday in 2011. He has co-led pilgrimages to the Holy Land and Italy and has keynoted major events, such as the Conference on Catholic Social Thought in Nassau, Long Island, the Aquinas Forum at Aquinas College in Nashville, Tennessee, and the Society of St. John Chrysostom’s celebration of the 1,600th anniversary of their patron’s passing to heaven. Mike is a also poet and song lyricist. His poems have been translated into Polish and Spanish and have appeared in First Things, Plains Poetry Journal, Catholic Digest, and elsewhere. His songs have been recorded by Grammy Award-winner Dion DiMucci. Lisa Hendey is the founder of CatholicMom.com, a leader in Catholic new media, and author of both The Handbook for Catholic Moms: Nurturing Your Heart, Mind, Body, and Soul and A Book of Saints for Catholic Moms: 52 Companions for Your Heart, Mind, Body, and Soul. Lisa hosts the “Catholic Moments Podcast” on the Star Quest Production Network and the “Catholic Mom” television segments on KNXT TV. 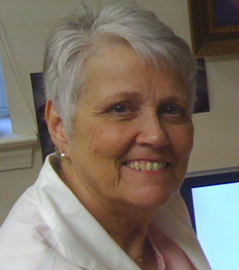 She writes for Faith and Family Live and her articles have appeared in the National Catholic Register, Our Sunday Visitor and countless websites and periodicals. 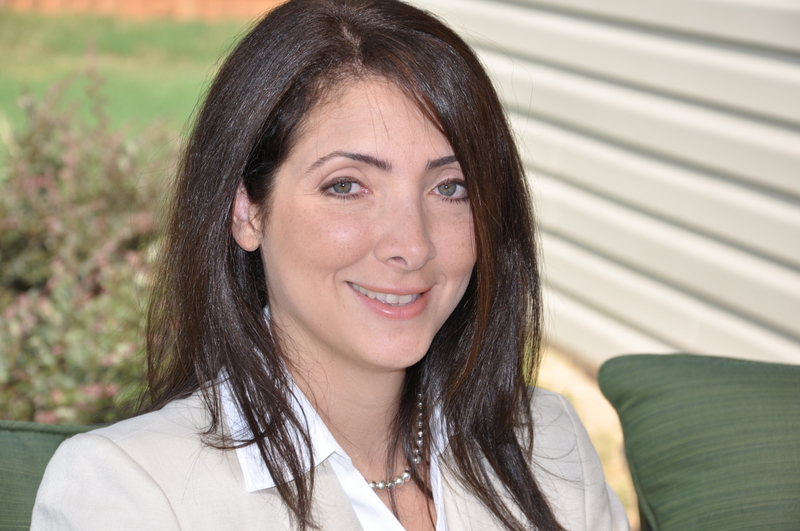 Lisa speaks nationally on faith, family and Catholic new media topics. She resides in the Diocese of Fresno with her husband Greg and teenage sons Eric and Adam. Fr. Leo Patalinghug is a break dancing, black belt fighting, gourmet cooking priest (is it me or did that sound like a B movie) Fr. Leo Patalinghug of Grace Before Meals. 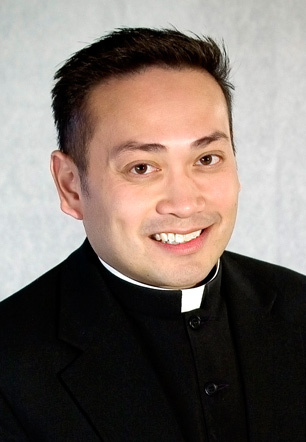 Born in the Philippines and raised in the Baltimore area, Fr. Leo actually developed his love for cooking while attending the seminary at the North American College in Rome. He was ordained in 1999 and served as a parish priest for five years at St. John’s Church in Westminster, Maryland. He was often invited to his parishioners’ homes for dinner. To their surprise, he would turn the table and cook for them, using these opportunities to build friendships and engage in relaxed conversations in the kitchen. Those memorable and unstructured times spent making a meal together provided the inspiration for Fr. Leo’s first book, Grace Before Meals: Recipes for Family Life. Currently, he is a member of the faculty at Mount Saint Mary’s Seminary where he directs the Pastoral Field Education Program for future priests. Fr. Leo E. Patalinghug and the Grace Before Meals movement has been featured on the front page of the Washington Post, Fox and Friends, ABC News, Denver Post, Martha Stewart Radio, CBS Morning Show as well as Food Network’s hit show, Throw Down with Bobby Flay, where Fr. Leo defeated world renown chef, Bobby Flay, in a steak fajita cooking competition. 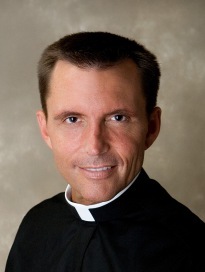 Father Robert Reed, a priest of the Archdiocese of Boston, is the Director of CatholicTV. CatholicTV provides family-friendly religious, news, and educational programming 24 hours daily. Founded over fifty years ago, CatholicTV’s programming is available on selected cable systems including Comcast, RCN, Sky Angel IPTV, and Verizon FiOS. Father Robert Reed has long entertained a keen interest in the full use of television and new media for an effective, entertaining and truthful sharing of Catholic Faith and life. A priest of the Archdiocese of Boston and the President of the CatholicTV® Network, Father Reed was born in Boston and currently lives in the historic West End of the city. He was educated at St. John’s Preparatory School and he prepared for the priesthood at St. John Seminary College and the Pontifical North American College in Rome. Father Reed also studied Broadcast Administration at Boston University’s School of Communication. After having been ordained a Catholic priest in 1985, Father Reed served in parishes in Malden, Norwood, Dorchester, Haverhill and most recently as pastor of Holy Ghost Parish in Whitman, Massachusetts. He was appointed director of the CatholicTV Network in May, 2005. He now hangs his hat most hours of the day and night at the national headquarters of the network, the Monsignor Frank McFarland Center. Reed oversees the production, acquisition and broadcast of increasingly-diverse and high-quality Catholic programs from across the nation and internationally. In addition, the CatholicTV Network also boasts of one of the finest network television websites with a 24-hour live stream and over 2,500 full-length television episodes available for viewing and embedding: Your Catholic Broadband Network, CatholicTV.com. In addition to his administrative responsibilities at America’s Catholic Television Network®, Father Reed is also host of the game show WOW: The CatholicTV Challenge; the reality series House+Home; he prays The Rosary with the television audience three times daily from various locations around the world; co-hosts the network’s signature talk show, This is the Day; and celebrates Daily Mass many times throughout the month. Father Reed also provides commentary for various national and international events from installations, ordinations and papal liturgies. Father Reed is also the Director of Radio Programming for the Archdiocese of Boston and assists on weekends at the Church of the Holy Family in Rockland, MA and the Church of Saint Bonaventure in Plymouth, Massachusetts. 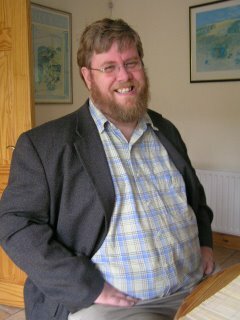 Mark Shea is the author of several books including Mary Mother of the Son, a trilogy of books about the Blessed Mother. His blog, Catholic and Enjoying it, is one of the most entertaining blogs you’ll ever read. His latest book, The Work of Mercy, is published by Servant Books. Catholic new media guru/blogger/tweeter/web site maker Matthew Warner is a Catholic husband, father, tweeter, blogger and social media nerd. In 2008, Matt left his engineering career to focus full time on New Media and the Catholic Faith. 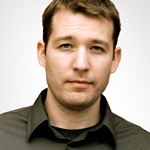 He is the founder of FlockNote.com, TweetCatholic.com, QuoteCatholic.com and his popular blog, Fallible Blogma. In his free time, he can be found changing diapers and building LEGO empires. Matt has a B.S. in Electrical Engineering from Texas A&M and an M.B.A. in Entrepreneurship. He and his family hang their hats in Texas. Check him out over at National Catholic Register and on Twitter at http://www.twitter.com/matthewwarner. Jennifer Willits is a wife and mother of five children. Because of her interest in new media evangelization, she founded Rosary Army with her husband Greg to help spread devotion to Jesus through the Rosary. In 2007, she starred in a catechetical video series called That Catholic Show to help educate and entertain viewers with a better knowledge of their Catholic faith in a humorous, yet reverent way. Working closely with her husband, Jennifer has helped to create numerous Catholic new media productions that have collectively been downloaded over 4 million times. Jennifer was named one of seven leaders in Catholic New Media by the Franciscan University of Steubenville and she continues to find new and innovative ways of sharing our Catholic faith. Her latest initiative is “Mass Confusion,” a sitcom pilot she and her husband created that recently premiered on CatholicTV out of Boston on Thanksgiving night. Jennifer has been featured on many media outlets including EWTN’s Life on the Rock, Relevant Radio, Catholic Answers LIVE, Catholic Exchange, National Catholic Register, Envoy Magazine, and Faith and Family Magazine. She has just recently finished co-authoring her first book with her husband titled: The Catholics Next Door: Adventures in Imperfect Living, which will be published by Servant Books next Spring. 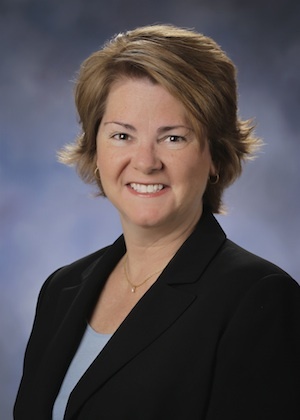 Jennifer continues her work in evangelization by co-hosting a daily 3-hour talk show with her husband simply called: “The Catholics Next Door” on The Catholic Channel on SiriusXM satellite radio. Along with his wife, Jennifer, Greg Willits is the founder of New Evangelizers and all of the New Evangelizers ministries. Greg and Jennifer are the former hosts of “The Catholics Next Door,” a daily 3-hour talk show that aired on SiriusXM’s The Catholic Channel from 2008 to 2012. In addition to being the founder of Rosary Army, Greg is also a founding officer and original President and Chief Operations Officer of the Star Quest Production Network. Their “That Catholic Show” video series is used in parishes around the world and their various online new media initiatives have been downloaded over 5 million times. Most recently, the podcast edition of “The Catholics Next Door” won the 2011 Catholic New Media Awards for Best Group Podcast and Most Entertaining Podcast. In 2007 Greg was named one of seven leaders in Catholic New Media by the Franciscan University of Steubenville and he continues to find new and innovative ways of sharing our faith. In 2011, he also co-wrote and co-starred in “Mass Confusion,” a sitcom pilot that premiered on CatholicTV out of Boston. Greg has been featured on many media outlets including EWTN’s Life on the Rock, Relevant Radio, Catholic Answers LIVE, Catholic Exchange, National Catholic Register, Envoy Magazine, and Faith and Family Magazine. Married since 1995, Greg and Jennifer are the parents of four sons and a daughter. Every single all-twine knotted Rosary that is donated to Rosary Army to give away to others goes through quality control. We check the spacing and number of knots, and if you send in Rosaries without a metal Crucifix, but leave a foot of twine at the end of the Rosary, we’ll add a beautiful Crucifix before giving it away. And every single Rosary goes through the hands of Pat Willits and her crew of quality control. 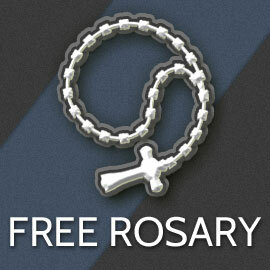 If you have questions related to making donated Rosaries, first ask over on the Rosary Army Community, but if you can’t get an answer, Pat’s the person to ask. I'd love to hear from you. If you have a specific question (including relating to topics on The Catholics Next Door), please ask your question first on our online Community Forum (there are a lot of smart people there) or by checking our FAQs. If you still don't find an answer, feel free to contact us via the form below. Sean Sullivan is a Catholic husband and father of three. When not doing exactly whatever is wife Laura tells him to do and/or chasing his three boys in circles his interests include autism awareness, pro-life work, and community involvement as an active member of both the Knights of Columbus and The Ancient Order of Hibernians. A graduate of St. John’s University, he has spent that last 23 years in the field of Direct Marketing and is currently Vice President of Operations and Sales at Reach Marketing in Pearl River, NY. Sarah Reinhard is a Catholic wife, mom, writer, parish worker and catechist, and coffee drinker. You’re just as likely to find her hiding out back with a book as you are to discover her playing in the yard with a few farm animals (or wait — are those her kids?) She is the author of five books, the most recent of which is A Catholic Mother’s Companion to Pregnancy: Walking with Mary from Conception to Baptism. She blogs at SnoringScholar.com and CatholicMom.com. Reinhard holds a master’s degree in marketing and communications and has worked for many years in corporate and nonprofit organizations. She lives in central Ohio with her husband and three children. You can also follow her on Facebook, Twitter, Google+, and Goodreads. 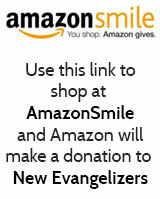 The web development of the New Evangelizers network was coded by Bryan Murdaugh and Fivable.com. 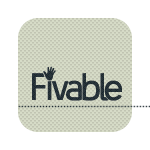 If you need something more than a cookie cutter of a website, Fivable is just outstanding. They can handle Interface Design, Brand Development, Content Development & Photography, Web Design & Development. This site you’re enjoying would not be possible without them. Oh, and it’s not uncommon to see updates to your site at 4 in the morning after they get back from Adoration of the Blessed Sacrament. Solid group. Dan Gonzalez from Amersand Design Group made it, along with the overall look and feel of all the websites within the New Evangelizers network. Dan is also the founder of AgnusGiftShop.com, where you can get amazing Catholic t-shirts. If you need graphic and site design, Amersand Design Group are miracle workers.